Los Angeles and neighboring areas of Southern California are some of the most visited and beloved locations in the world, and one of the busiest regions in the air charter market. Los Angeles, along with Paris, Rome and London, is one of the most culturally significant cities in the world, perhaps even more so in a modern sense. 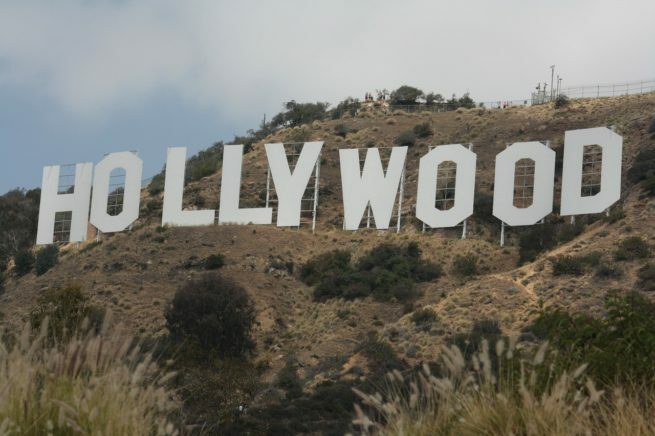 The city is revered for its status as an entertainment icon (Hooray for Hollywood!, after all) and is home to several movie studios, as well as many of the celebrities starring in their films. Los Angeles County is the most populous county in the United States, home to over 9 million residents in an area larger than two states, Delaware and Rhode Island. The surrounding counties of Orange, Santa Barbara, Ventura, San Diego, Riverside, and San Bernardino are also home to a wealth of exciting attractions, premier events and luxury accommodations. Our brokers are standing by 24/7 to assist with booking private jet charters to Los Angeles and surrounding areas. Below you will find a list of the top travel destinations in Southern California, and you can check out more information on Los Angeles Airports we use for charter flights to/from California. When it’s time to take your family on a relaxing and fun-filled weekend at your favorite amusement park, fly private to Anaheim in Orange County, California using Los Angeles Private Jets. Enjoy spending the weekend at world-famous Disneyland, or take the bigger kids over to Knott’s Berry Farms in Buena Park. (SNA) John Wayne/Santa Ana airport is ready with slots open for your private chartered flight while you reserve your tickets to go see the Anaheim Ducks or the Los Angeles Angels play a game. Orange County is also a popular destination for business professionals in a variety of industries, and there are several helipads located throughout the area if you’re interested in chartering a private helicopter. Learn more about renting a private jet to Anaheim, California. Considered to be the “Media Capital of the World”, Burbank is a popular destination for private leisure flyers, media members and celebrities alike. Fly into (BUR) Bob Hope Airport and spend a weekend exploring the sets from your favorite television programs. Book your very own tour of the iconic Warner Brothers Studio and see what it took to make your favorite cartoons. Located just miles away from Hollywood, Burbank is the location of several production studios, including Disney, Warner Bros. Entertainment, ABC Studios, ABC Family, Marvel Studios, Nickelodeon, NBC, Cartoon Network, and Insomniac Games. If you’re a media member or personal assistant to a celebrity, we can arrange your private flight to land at (VNY) Van Nuys Airport. Find out more about booking a private flight to Burbank. A destination within a destination, Catalina Island is the go-to weekend getaway for many Los Angelenos. The island is part of a large conservation effort, creating a haven for some of the most beautiful scuba diving on the Pacific Coast. Fly private into (AVX) Catalina Airport, also known as the Airport in the Sky due to its location along the island’s highest point of elevation. You’ll arrive in Avalon, the island’s only city, home to beautiful Descanso Beach along with a variety of boutique hotels to choose from. Whether you’re looking to take a break from busy L.A. life or searching for whatever underwater adventures are awaiting, check out more information and charter a private flight to Catalina Island. Whether you’re flying into Santa Ana’s (SNA) John Wayne Airport for business in one of Irvine’s many international headquarters, traveling on a relaxing getaway to the seaside resorts of Laguna Beach, or catching the iconic waves of San Clemente beach, the area of Irvine is a popular destination within Los Angeles for private aviation. The city is home to several large international corporations, and helipads are also available for quick transit between meetings throughout Los Angeles and Orange County. Learn more about arranging private flights to Irvine, California. Flying privately to Long Beach is easy when you book with Los Angeles Private Jets. Long Beach is home to one of the largest shipping ports in the world, and a major commercial hub in Southern California. Fly out to (LGB) Long Beach Airport for a business event, or spend the whole trip taking in the sites. With three airports within 25 miles of the city, a host of art and history museums, and a bumping nightlife, Long Beach is an ideal destination for private flights. Read more about private jet charter service to Long Beach. With more music venues and nightlife options than anywhere on the West Coast, Los Angeles has plenty in store for luxury private jet travelers. (LAX) Los Angeles International Airport is one of the busiest air hubs in the country, and is often described as the “gateway to the west”. As busy as this airport is, private flyers have the option of landing at smaller airports that make the process significantly less stressful for clients. (VNY) Van Nuys Airport is the top choice, and it’s the busiest private aviation airport in the country. Find out how more information about booking your private charter flight to Los Angeles. Malibu is an iconic coastal town on the coast of the Pacific coast of California, and your closest airport options for Malibu are (SMO) Santa Monica Airport and (OXR) Oxnard Airport. The least frequented of these is Santa Monica Airport, and (SMO) will probably be your best bet for a smooth and quick landing. After landing your private jet, your only option for reaching Malibu is the Pacific Coast Highway, which is a beautiful scenic and waterfront drive. Learn more about about arranging charter flights to Malibu. Located in the middle of the incredibly arid Mojave Desert, most people traveling to Mojave, California will arrange their private flights to land at (MHV) Mojave Air and Space Port. This highly advanced aircraft testing facility also has some slots open for private flights to come land there. If the reason for you trip does happen to be leisure, then the Mojave Desert has some of the best all-terrain-vehicle riding in the world. Check out more information about hiring a private jet to Mojave. Located in San Bernardino County, Ontario is a relatively large southern California city. It has its own airport that has several commercial airlines flying in and out everyday. The airports in the area, (ONT) LA/Ontario International Airport and (CNO) Chino Airport, cater mostly to private flight heading for inland California. So if your private flight destination is eastern Los Angeles County, then Ontario International Airport may be your most convenient option. After you land you may want to stretch your legs and take some time to see the area. Ontario has one of the largest malls on the West Coast and a few 4-star hotels that will keep you well occupied and well rested. Learn more about private charter flights to Ontario. Charter a private flight to Palm Springs, located west of Los Angeles in Riverside County. Palm Springs offers some of the best golf courses in Southern California, home to over 100 incredible golf courses. There are also several luxury hotels and resorts in the Palm Springs area, with some of the most indulgent accommodations available outside of Los Angeles County. Palm Springs is located near the Coachella Valley, which hosts one of the most popular music festivals in the United States, the Coachella Valley Music & Arts Festival. We can arrange your private flight to land at (PSP) Palm Springs International Airport, while the nearby towns of Bermuda Dunes and Thermal offer additional airports for increased flexibility. Find out more about our private jet charter service to Palm Springs. San Bernardino is the largest city found in San Bernardino county. With a diverse population of about 200,000 people, you can find a wide array of specialty restaurants and clothing boutiques. Your two best airport choices are (SBD) San Bernardino Airport and (ONT) Ontario International Airport. Both are great options, although Ontario is a preferred airport for San Bernardino private flights. (PSP) Palm Springs International Airport is your best bet if you’re interested in the beautiful desert resorts of Palm Springs. Learn more about how you can book your private charter flight to San Bernardino. Whether you’re flying for business or pleasure, San Diego has plenty to offer. From its leisurely and laid-back populous to its consistently gorgeous weather, San Diego is a wonderful break from other cities of its size. Now when you hash out the details for your private flight, you have a few options regarding where you will land. (SAN) San Diego International Airport (better known as Lindbergh Field) is usually best if you want to be right in the middle of the city. If you want a more private experience, then you’ll want to consider the smaller (MYF) Montgomery Field, which is about 8 miles outside of downtown San Diego. Learn more about chartering a private jet to San Diego. Number one on Oprah’s list of happiest cities in the USA, San Luis Obispo truly is a hidden gem on the central California coast. A city where strangers wave “hello” as they pass each other in the street and neighbors mingle at the farmers market every month, there is no better weekend getaway for you to book your private flight to. (SBP) San Luis Obispo County Regional Airport is the most conveniently located hub, only 5 miles outside of downtown San Luis Obispo. You can also fly into Oceano County Airport which is about 16 miles away in Oceano, CA. Check out more information regarding private jet charter service to San Luis Obispo. Serving the majority of Orange County air travel, (SNA) John Wayne Airport is a popular destination for private flights to the Los Angeles area. interestingly, the airport isn’t actually in Santa Ana, which lies to the north. The airport’s entrance is actually through the city of Irvine, with the cities of Newport Beach and Costa Mesa located to the south. The airport was formerly called the Orange County Airport, and was re-named immediately following the death of legendary actor and Orange County resident, John Wayne. Anaheim’s proximity to the Santa Ana drives the majority of traffic through the airport, with families traveling from around the world to visit Disneyland and other attractions throughout Los Angeles. Nearby Fullerton offers another airport, and we can arrange your private to arrive at (FUL) Fullerton Municipal Airport if your private aircraft can make use of it’s 3,121 foot runway. Learn more about hiring a private jet to Santa Ana. Not just a playground for the rich and famous, Santa Barbara is a cultural and economic power on the West Coast. So whether you’re drawn by business or by pleasure, this gorgeous coastal city will not disappoint. When choosing an airport, most private flight charter clients opt for (SBA) Santa Barbara Municipal Airport because of its convenient location. As for after you land, you may want to spend some time walking along State Street, which is a famous mile-long stretch of posh boutiques and retail stores. Read more about private flights to Santa Barbara. Book a private flight to western Los Angeles County and enjoy the famously picturesque city, Santa Monica. You can spend your nights right on the beach at one of the many 5-star resorts in the area, with offerings such as The Ritz-Carton Marina del Rey, Hotel Shangri-La and The Viceroy, allowing you to relax as the days pass by or partake in the many diversions offered by this coastal city. Whether you choose to lounge by the sea or peruse the impressive array of specialty shops and boutiques, Los Angeles Private Jets will be happy to get you there. We can fly you into whichever airport you prefer, whether it be (SMO) Santa Monica Airport or (HHR) Hawthorne Municipal Airport. Find out more information about private jet rentals to Santa Monica. Located on the outskirts of Los Angeles, (VNY) Van Nuys Airport is the world’s busiest general aviation airport, with over 250,000 aircraft movements annually. The convenience and anonymity offered by Van Nuys make it the preferred choice for Hollywood celebrities, politicians, and business executives flying into the Los Angeles area. Several news, medical and touring helicopters serving greater L.A. are based at Van Nuys Airport, and the airport has set the scene for many movies, television shows and music videos over the years, from Casablanca to Entourage. Learn more about how we can arrange your private jet charter service to Van Nuys. Los Angeles offers several airports to land your private jet at. Whether you’re flying into Los Angeles , San Bernardino or Orange Counties, let our team arrange your private flight using the airport that best suits your needs. Learn more about airports in Southern California. Request a Quote or call us at 1-888-987-5387 to speak with one of our Los Angeles Private Jet Charter brokers about the private flight destinations available for your next luxury vacation, business trip, or special event in Southern California. All of our representatives are based in the U.S. and available to answer your questions via phone and email 24/7/365. Our services span the entire city of Los Angeles and other areas of Southern California, including the counties of Orange, Santa Barbara, Kern, San Luis Obispo, Ventura, San Diego, Riverside, and San Bernardino.